SALBUTAMOL is a bronchodilator. It helps open up the airways in your lungs to make it easier to breathe. This medicine is used to treat and to prevent bronchospasm. Take this medicine by mouth. If this medicine upsets your stomach, take it with food or milk. Do not take more often than directed. Tell your doctor or health care professional if your symptoms do not improve. Do not take extra doses. 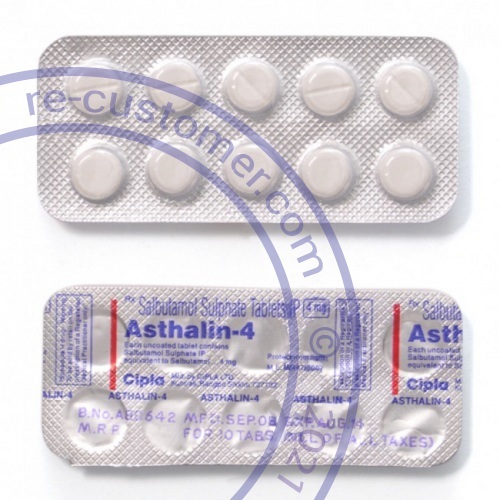 If your asthma or bronchitis gets worse while you are using this medicine, call your doctor right away. Store albuterol tablets in the refrigerator (36 to 46 degrees F). Other tablets may be stored at room temperature (59 to 86 degrees F), check the packaging or ask your pharmacist. Keep container closed tightly. Throw away any unused medicine after the expiration date.